A Great shopping experience will boost your customer’s opinion of your store. They will come back again and recommend you to their friends and family. While they may purchase some items regardless, most people spend more when they enjoy shopping at your store. Advertisers will tell you that they can create ad campaigns that will bring new customers to your store. Their job is to whet the appetite of potential customers and give them a reason to come to your store. Your job is to turn those first visits into repeat customers, people who regularly shop at your store and recommend it to others. In fact, one survey showed that 80% of shoppers that had a great experience with a store then told at least 3 other people of that experience. That means, for every 10 customers that are wowed by shopping at your store, you can expect at least 24 potential new customers. Word of mouth advertising is not only huge, it’s also free for the taking! 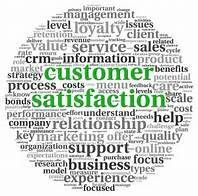 Many studies show the cost of adding new customers far exceeds that of retaining existing ones. The old adage, “It’s cheaper to keep em“, remains true today. In fact, it might be even more relevant in today’s competition of online vs brick and mortar stores. Understanding why it’s important is one thing; how do you create a great shopping experience for your customers? In today’s retail world, your competition is more than the pet store on the other side of town. You must compete with the big box “we have everything” stores, larger retailers, and even the internet. With so many avenues for purchasing pet supplies and food, you need to build a strong loyal customer base. One integral component of that is to create a great shopping experience for each time each customer comes to your store. Pet stores have a great advantage over many other retailers. Most people consider their pets part of the family. 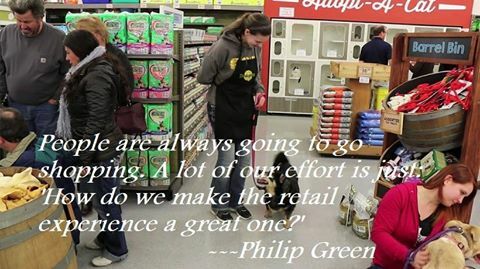 Shopping for necessities and gifts for their pets usually elicits good feelings and happiness. Those stores that include some pets also reap the benefit of customer enjoyment when they browse through the pet section and interact with them. Having a store mascot can build on that love of pets feeling. The store mascot might be a small pet that is never for sale, or you might engage one of the for sale pets for the job. When customers come to shop, they will enjoy visiting your mascot, too! He becomes part of your store branding. Neighborhood stores used to know their customers by name and would greet them with a genuine “Hello, How are you today?” As stores grew, the number of stores that initiated personal greetings lessened. Lately, however, stores and restaurants are reclaiming the “Welcome” approach. The reason is simple; it works. People feel a connection as they walk through your door. They sense that they are more than just a customer. You see them as a person and perhaps a friend. 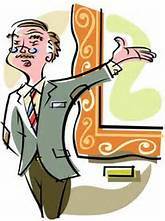 The big box retailers might beat you on price but they cannot compete with you on offering help and expert advice. While customers don’t want you staring at them while they shop, they do need you accessible when they have a question. Just as important as being available is having the right advice for that customer. If it is something you are not sure of, offer to find the information. With today’s computer access, you can usually have an answer within minutes while the customer is still in the store. Your store should include an exciting store design and atmosphere and consistently great product quality. Retail experts will tell you to place the dog food in the back of the store. Also, they will explain that your entire store design must be one that shouts professional and expert, while also being warm and inviting. Your customers should feel like friends being invited into your special place. We are all aware that dirt and odors will drive customers away. However, tight spaces, inaccessible stock, and an unwelcoming atmosphere can be just as offensive. Find your brand, your image, and build on it to gain the respect and loyalty of your customers. Wow them with how important they are to you, rather than trying to impress them about you. Customers who feel they’re special and welcome are more apt to come back frequently. And they recommend your store to their friends. Offer to carry their purchases, order the green cage for them if it’s just what they want, show them that cute little conure that they are watching, and offer to let their children pet one of the bunnies. 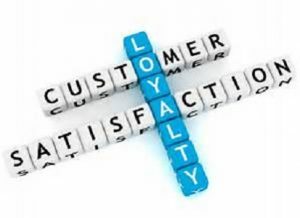 It may take a few more minutes of your time, but you will reap large rewards of customer loyalty. Many stores find that a frequent shopper or loyalty program provides additional benefits, too. People like saving money and your store benefits by keeping customers loyal. Birthday clubs, customer specials, and other such programs also help create a great shopping experience time and again. Of course, you are thankful for each customer. Let them know! Your staff should make eye contact and provide a genuine “thank you!” to each customer. Customers that feel connected to staff and your store will come back again and again. NEXPET members help and provide information for each other! You and your staff are keys to creating a great shopping experience for each person from the moment they enter your store. One happy customer spreading the word about your store provides you with many more potential customers. A happy customer may well be your best form of advertising! We also invite your comments in the section below!